Lock in a great price for Ithaca of South Beach Hotel – rated 8.7 by recent guests! Location was close to everything without being on the busy street one block away. Rooms are so good. It was like a suite. Location is 2 min walk from the beach. The drain in the shower smelled terrible like nasty gray water. The entire hotel had a strong potpourri smell to cover up an odor. The room was nice & clean just wish the shower didn't smell our entire room. It's absolutely beautiful and the location is great! This is my second time staying at Ithaca of South Beach. Everyone was pleasant and the social hour is a plus too. I can't wait to come back! I liked the location a lot! Ease of access to the beach and common South Beach visiting areas. Such a comfortable bed. Great location and parking also available. Such a lovely hotel! The location is great--close to the beach, shopping,+restaurants. The staff was wonderful, very helpful + pleasant. There are chairs + anything you would need for the beach. Ithaca of South Beach Hotel This rating is a reflection of how the property compares to the industry standard when it comes to price, facilities and services available. It's based on a self-evaluation by the property. Use this rating to help choose your stay! One of our best sellers in Miami Beach! 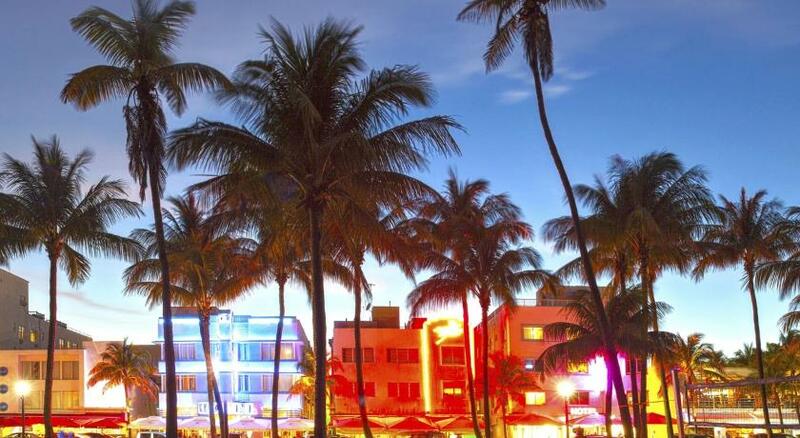 The Ithaca of South Beach Hotel is located less than 5 minutes’ walk from the shores of Miami Beach. This hotel serves a light daily breakfast and includes free WiFi. Cable TV is featured in every room and suite of this Miami Beach boutique hotel and guests will also enjoy an iPod docking station in the rooms. A small refrigerator and mini-bar are provided for added convenience. Fax and photocopying facilities are available to guests of the South Beach Ithaca Hotel. Guests can enjoy the added luxury of valet parking on site. 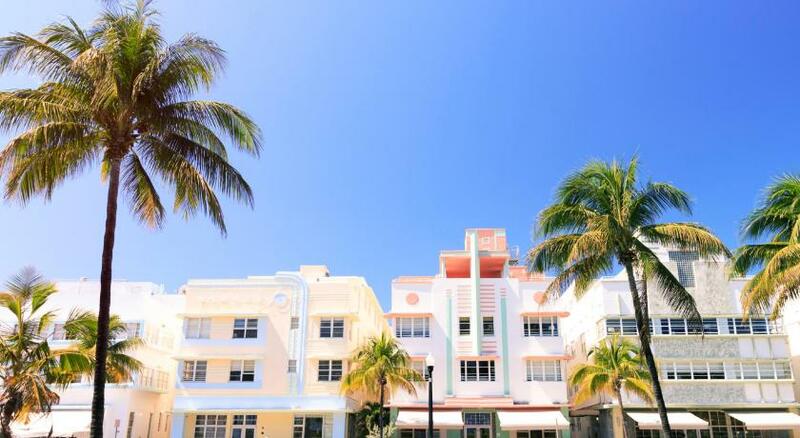 This hotel is 0.5 miles from the Art Deco Historic District and 1 miles from the Lincoln Road Mall. The Miami International Airport is 15 minutes’ drive away. When would you like to stay at Ithaca of South Beach Hotel? This room features a seating area, desk, and small refrigerator. This suite features a sitting area, desk, and small refrigerator. This spacious room features views of the city and landmarks. A sitting area and small refrigerator are also included. This room features views of the city and landmarks. A small refrigerator and sitting area are also included. House Rules Ithaca of South Beach Hotel takes special requests – add in the next step! Ithaca of South Beach Hotel accepts these cards and reserves the right to temporarily hold an amount prior to arrival. Please note that the credit card used for booking must be present at check-in. The name on the card must match the name on the reservation. Contact hotel for details. Contact property for package delivery policies. Guests must contact the property prior to arrival if planning to arrive after 00:00. Please note that a security deposit of USD 150 will be assessed by the property. The deposit is refundable pending damage inspection of the accommodations. It is located above a pizza restaurant who are very noisy till late hours at night. Lots of banging & loud music. Friendly staff & nice rooms. Front entryway and reception, cramped and dark. No elevator for guest to use. The room and bathroom beautiful and very clean! The staff were awesome and very helpful and our room exceeded our expectations. Little touches like wine and cheese hour and and letting us borrow the beach chairs and an umbrella for the beach were fantastic. Location is brilliant, right next to Ocean Drive and the beach. Thanks! Only service elevator for bags. But no complaints. really enjoyed the stay. Staff is amazing. And was able to leave the bags there when we checked out, so we can enjoy the rest of the day. The drain in the shower had a terrible smell like sewage or gray water. Room was close to a Music bar playing music 24 Hours a day . Impossible to rest 5 minutes. We Kindly ask to move to an other room or to leave the hotel , but the owner did not accept . We had two days of hell. Bathroom not confortable . Breakfast terrible , taking place in a little room without Windows. Two little table , very poor food . In addition to this our room has the windov on the rubbish collector of the street, bad smell plenty noise with trucks. The worst experience of my life . Our room was not so clean. There was stain on the floor. It seems that some kind of beverage dropped on the floor but they did not wipe it out. The toilet also has stain on it. Also we saw two small insects on our bed. I think they need to do pest control. On the other hand, the sink was clogged up, and we informed the guy in front desk but no one came to fix it. Thanks to other employee in the front desk, she fixed our sink after we had told her. There are only two tables for the breakfast, so we needed to wait for a while, but it is okay. At least they serve fresh breakfast. Unfortunately the place is extremely loud, you can hear the people roaming in the hallways and it makes it hard to even get some rest. The breakfast wasn’t all that great either, it was like having breakfast at a 7-11 and paying top dollar like if Chef Ramsey cooked for you. A number of the rooms face the street and are above a tourist shop that plays very loud music until 11pm. There is only a luggage lift, customers have to climb about 20 steep stairs. Noisy exterior and staff copied license and CC and wanted to keep the copies. Clean place but in the the hood.